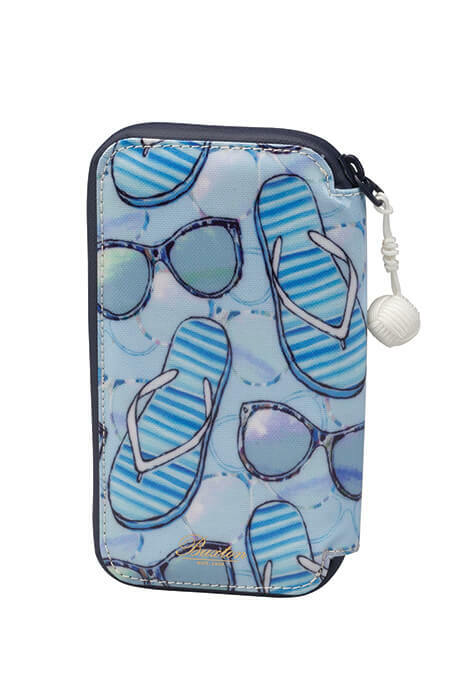 7 1/4" x 4 1/4"
Show your sunny side with this fashionable Buxton® Water Resistant Sun Sandal Zippered Phone Wallet. 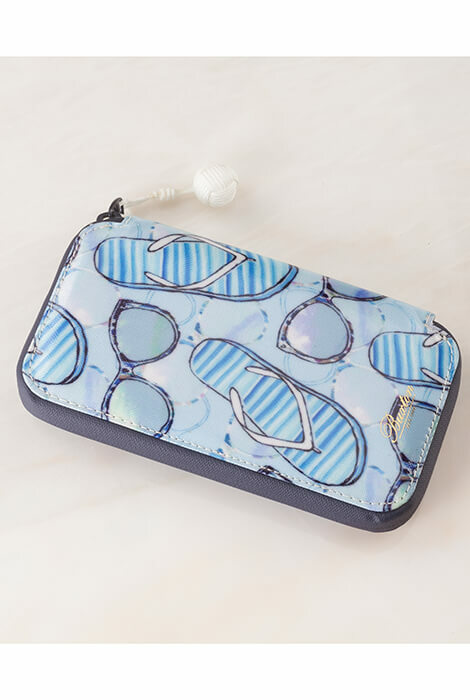 Faux leather Water-resistant wallet by fine goods maker Buxton® features a sandal and sunglasses design and zips on 3 sides to keep essentials in and sand out. 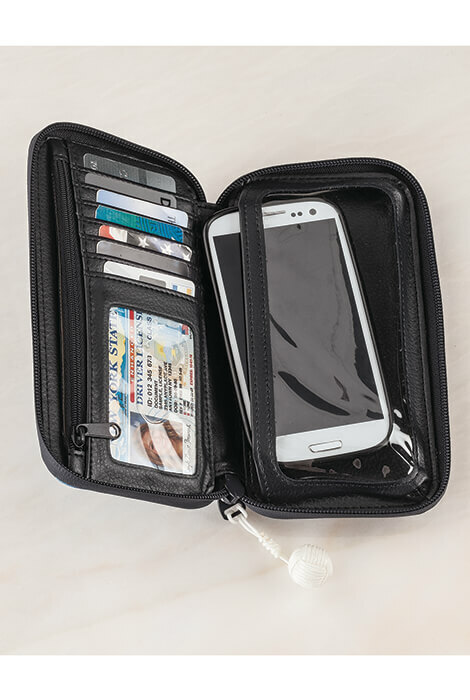 Inside the wallet phone case you'll find an easy-access 6" x 3" clear phone pocket, ID window, 6 card slots, zip pocket and slip pocket. 7 1/4" x 4 1/4". 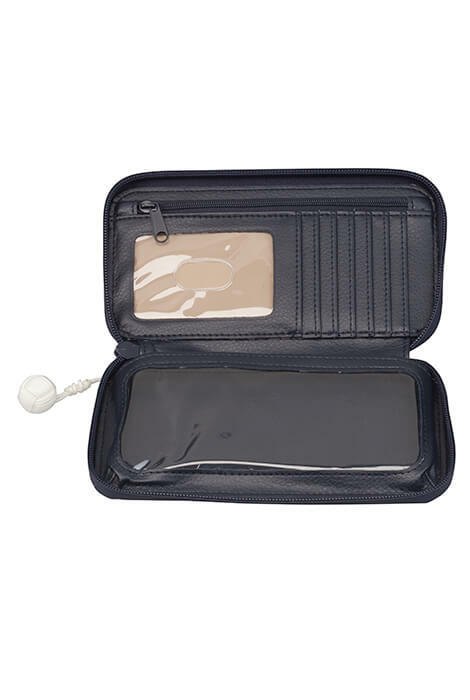 Easy-care polyurethane. Wipe clean.